After the excitement of Easter, it’s all back to normal. 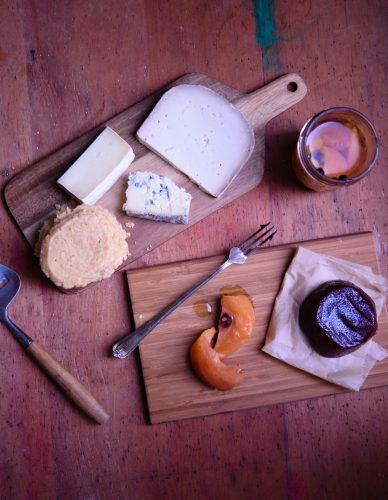 I have returned to the hefty tome that is Patisserie by Christophe Felder. 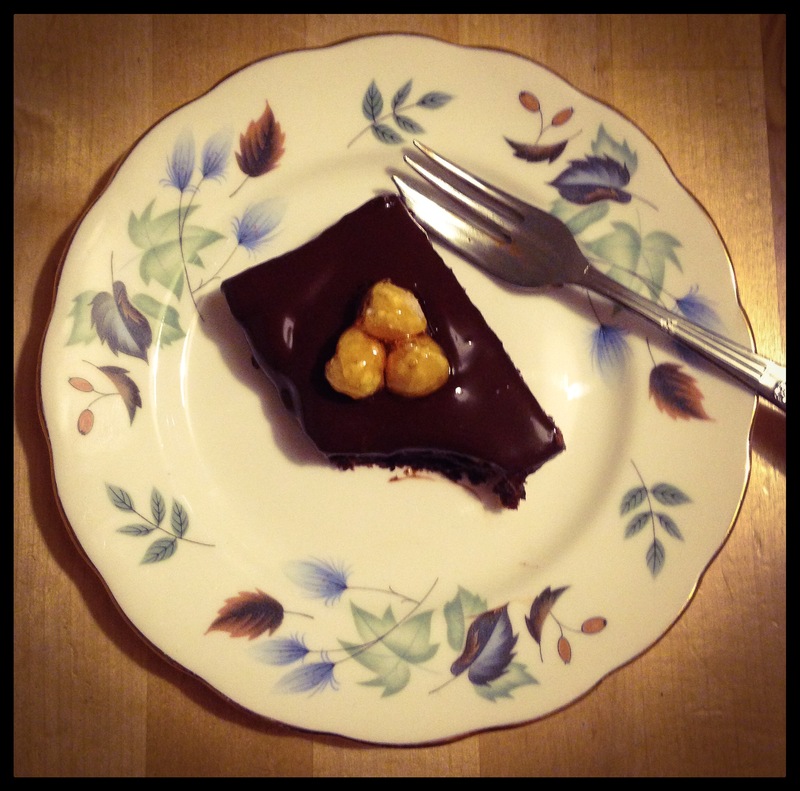 I’ve moved on from Les Gâteaux Classiques (Classic Cakes and Desserts) to the next chapter Les Chocolats et Petites Bouchées (Chocolate Desserts and Candies). This week I chose the recipe coffee-almond brownie bars. I chose this for two reasons. The first being that I had a lot of chocolate left over from last week, the other reason is that I don’t recall ever having made brownies before. The chocolate brownie is an American classic and it’s thought the cake was first created in 1893 by a chef at The Palmer House Hotel in Chicago. 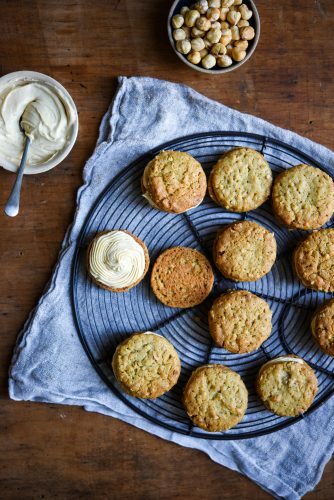 There are a number of myths surrounding the creation of this recipe. 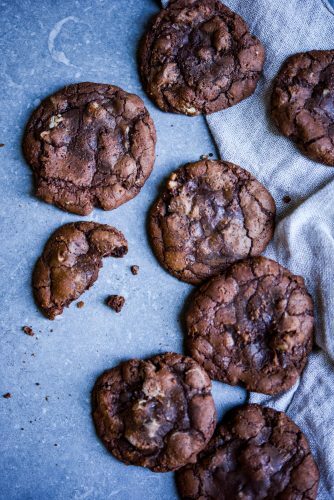 These range from; a chef accidentally added melted chocolate to a cookie recipe, a cook forgot to add the flour and finally a housewife had run out of baking powder. None of these are thought to be true. The recipe in the book is actually for coffee-chestnut brownie bars. Last time I used chestnut puree I really didn’t enjoy it, plus I didn’t want to buy a whole can just to use less than half of it. So I substituted the chestnut puree for almond butter. This was just a personal choice, you could use peanut butter or any other nut butter, as long as it’s the smooth kind. 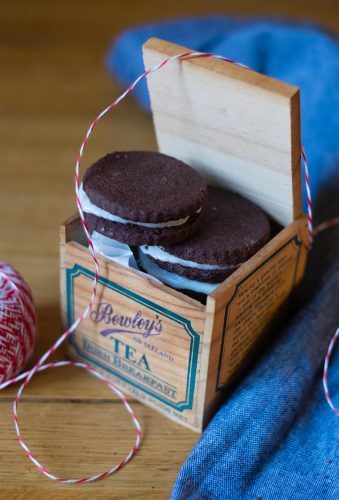 This recipe is really easy and it was nice to have something so homely to make after last week’s fiddly truffles and chocolate tempering. The cake batter in this recipe is more like a traditional cake, meaning that butter made a welcome return this week. 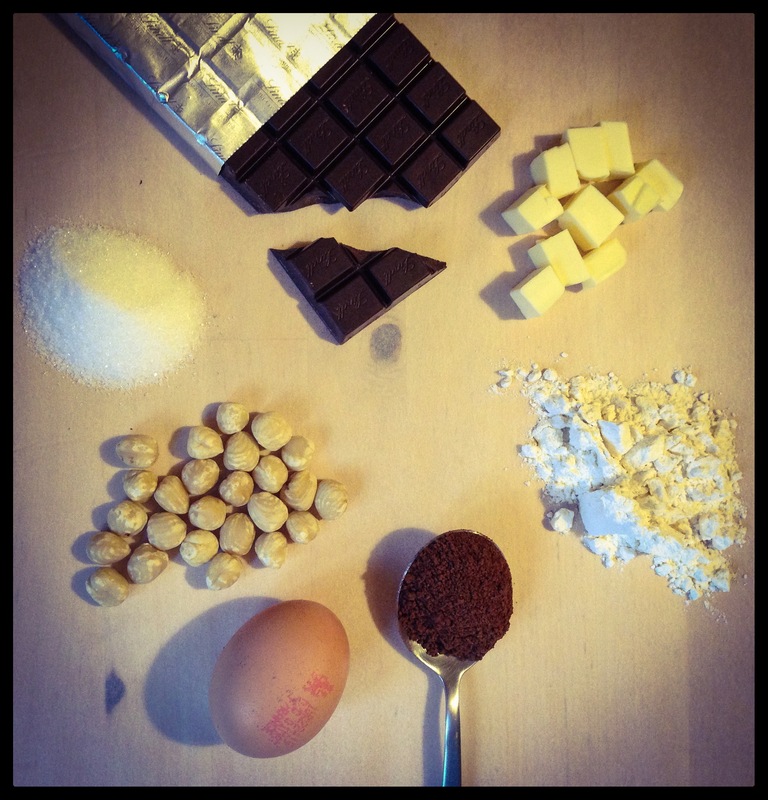 Here are the ingredients for this week’s bake. 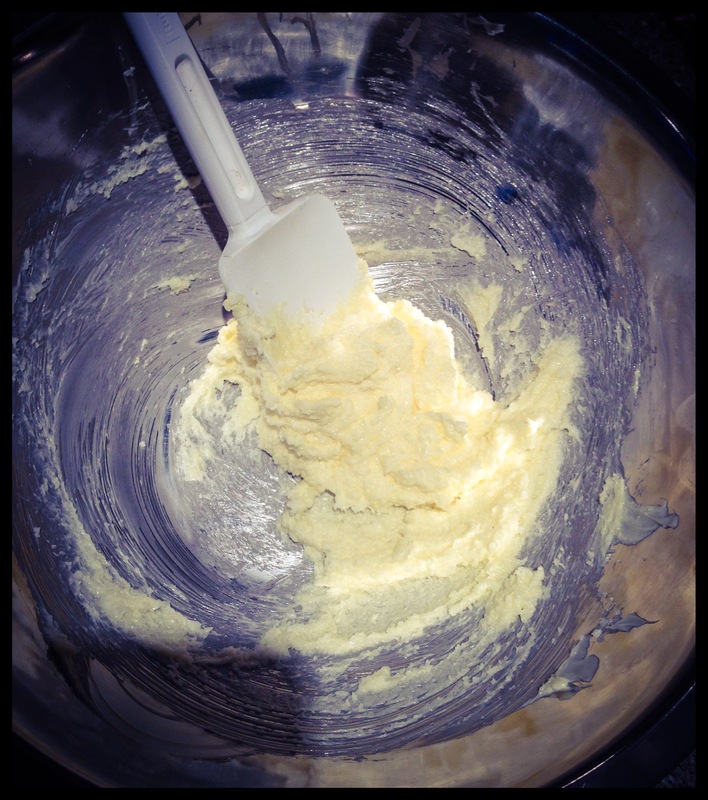 Like so many cake recipes, I began with creaming the sugar and butter together. 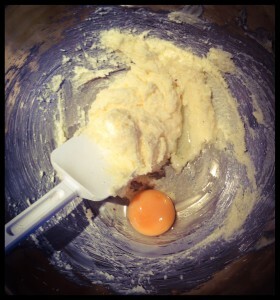 The next step was to add one of the two eggs and beat it in until the mixture is light and fluffy. Then the second egg is added. 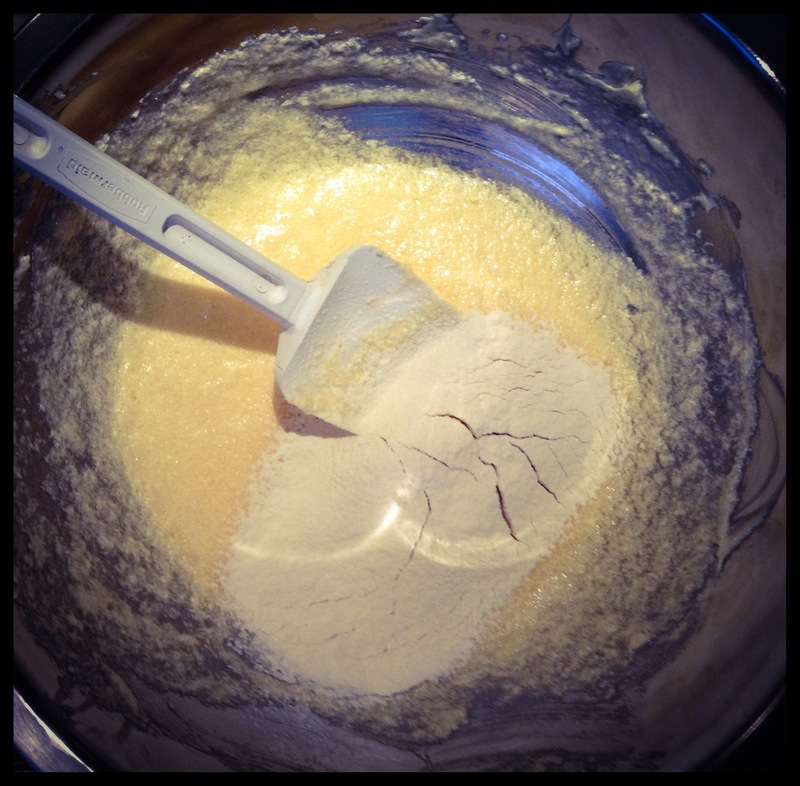 Next the flour was sifted and added to the mix. Finally, melted chocolate is mixed in thoroughly. Then I added the chopped hazelnuts to the batter and poured it into a lined baking tray and cooked it in the oven for 15mins. 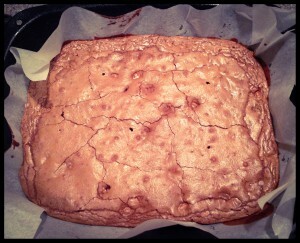 The top of the brownie cracked, but this is pretty normal for a brownie. They normally look pretty rustic, so I assume that it’s part of the reason for the toppings that have been added to this recipe. 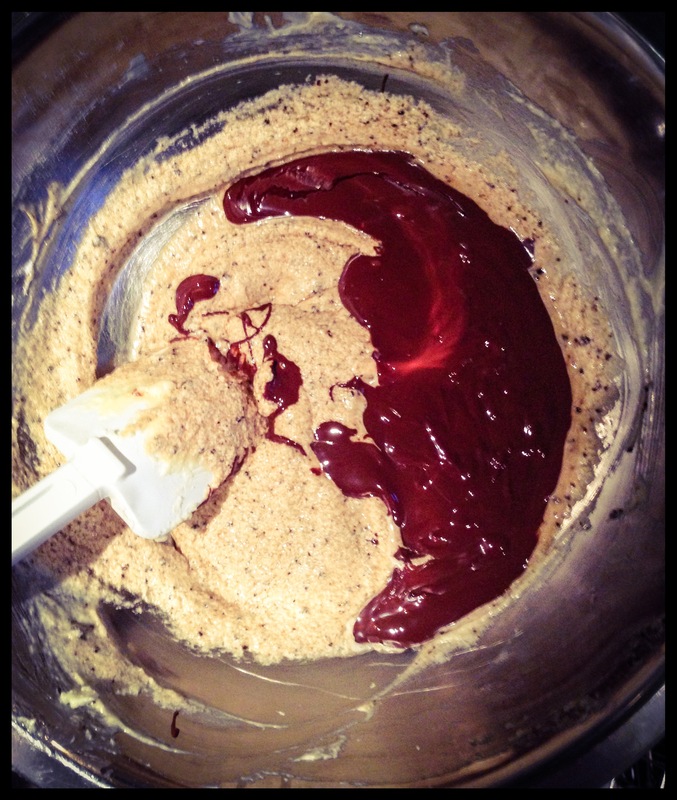 Once the cake has cooled, a small amount of almond butter is spread over the cake, before it is topped with a mix of dark chocolate and vegetable oil. 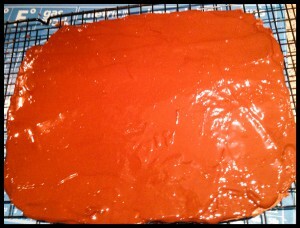 The finished cake is then chilled in the fridge to allow the chocolate topping to set. While the cake was in the fridge, I made some more of the caramelised hazelnuts I used in a previous post. This time I added the hazelnuts to the caramel in batches of three, so that they formed little nut clusters. By now the cake was chilled enough that I could cut it into slices and decorate it with the hazelnuts. This is a delicious recipe and so easy to create. The cake is chewy and rich, just like a brownie should be and the topping is a really nice addition. 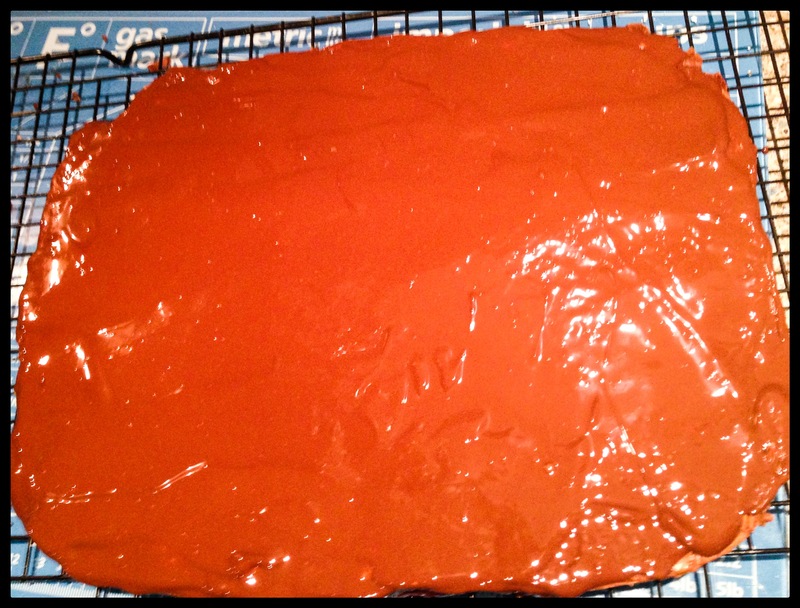 Grease and line a 20cm x 20cm cake tin and pre-heat the oven to 180˚C. In a bowl cream together the sugar and butter, until light and fluffy. 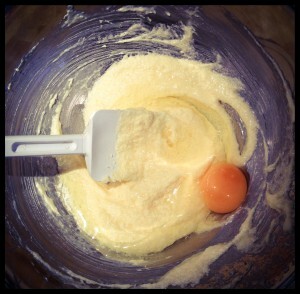 Add the eggs one at a time, beating them into the mix until it is smooth. Sift the flour into the batter and stir it in, ensuring there aren't any lumps or any visible flour. 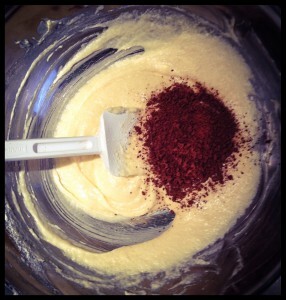 Add the coffee granules and stir the mixture again. Melt 150g of the 50% cocoa chocolate and add it to the cake mixture. Stir the chocolate into the mixture until it's evenly combined. 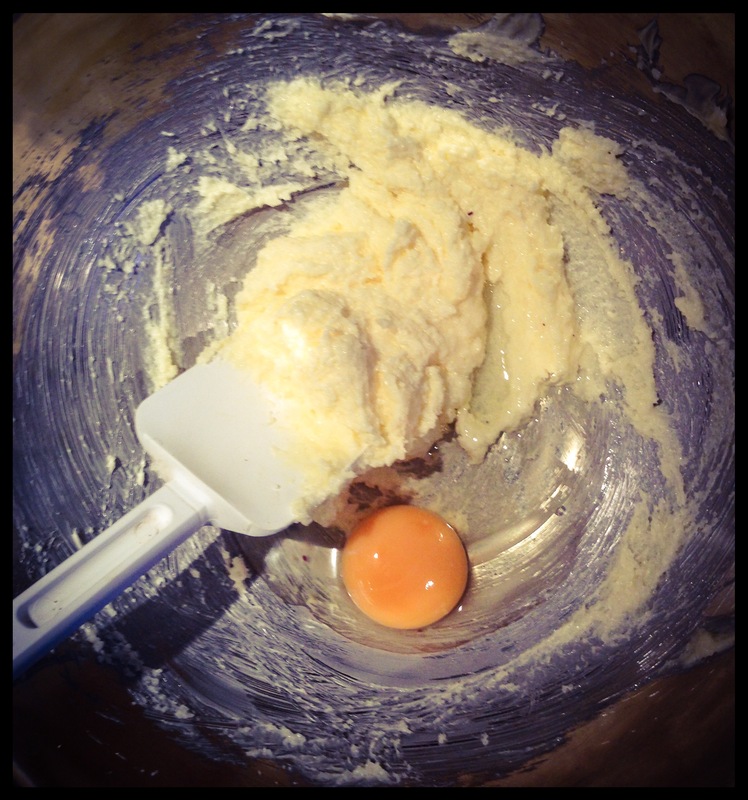 Pour the batter into the lined tin and bake for 20mins or until a cocktail stick comes out clean. A few crumbs on the cocktail stick is fine. 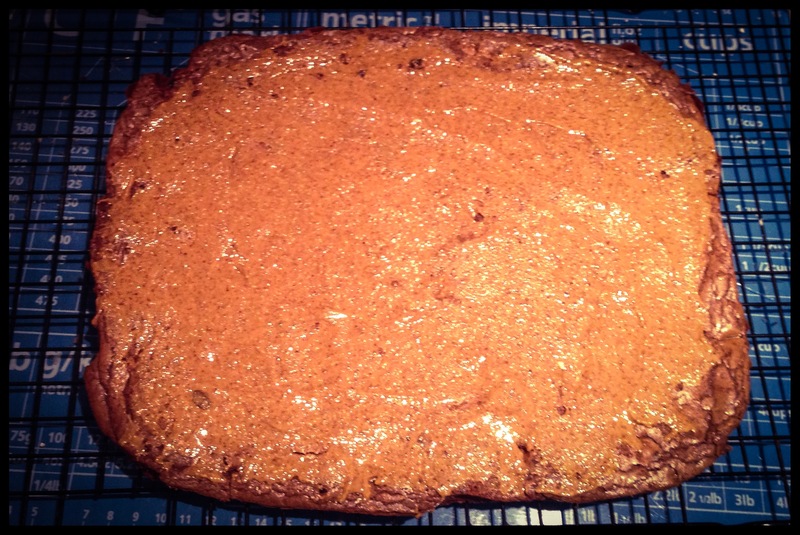 Allow the cake to cool, take the cake out of the tin and spread the top of it with the almond butter. 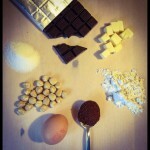 Melt the chocolate and combine it with the vegetable oil. Then pour this over the top of the almond butter and smooth it with a spatula. Place the cake in the fridge for 15mins to set. Slice the cake into 12 portions. To get the neatest, cleanest cut, wipe the knife between each cut. You can either leave the cake like this, or top it with a caramelised hazelnut cluster as set out in the recipe below. Cut a sheet of greaseproof paper that is roughly 30cm x 10cm and place it on a work surface near your hob. Also get a bowl that is big enough to fit your saucepan in and add some warm water to the bowl. Add the sugar to a heavy based saucepan and heat the sugar. Stir continuously until it becomes liquid and golden. Dip the base of the pan in a bowl of warm water, so that the sugar stops cooking. Now work quickly. Drop three hazelnuts into the caramel and using a teaspoon, scoop them out and place the cluster on the greaseproof paper. Repeat this so that you have 12 clusters in total. If the caramel begins to set too quickly, heat the pan again on a very low heat to melt the sugar, keep doing this until you finish your clusters. Finally use these to decorate your cake portions. 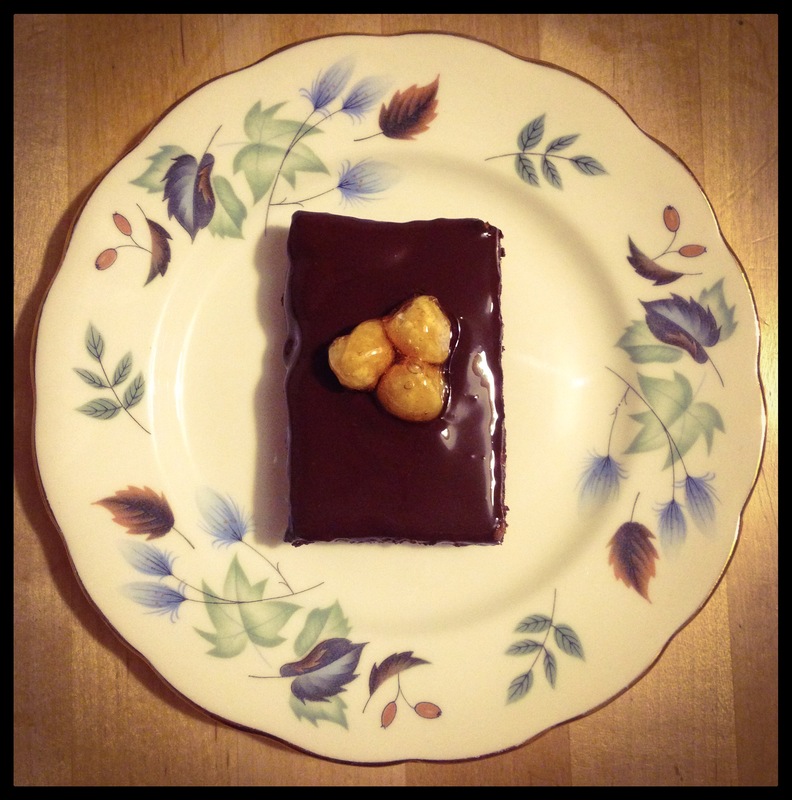 Thanks for reading and I’ll see you next week with another bake from the chapter Les Chocolats et Petites Bouchées. omg, brownies are my absolute favorite! i’m the brownie queen in my family (at work, too) though i usually just make them from the box. 😀 i’m definitely going to try your recipe, it sounds delicious! 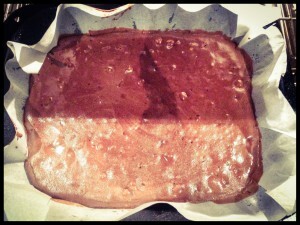 and yes, the top of the brownie always cracks so you did just fine my dear. i also like to put chocolate and/or peanut butter chips in mine. Thanks Jodie. It’s so much easier to comment as well isn’t it. I’m really pleased with WordPress, it’s so much better.